Hi folks, i used to produce a crude but functional rear strut brace about 10 years ago for the Mk1, and a few of them have recently surfaced again after all this time, so i got thinking it was time to produce an all new 2011 version, much lighter, very strong, laser cut brackets, rose jointed, fully adjustable preload and highly polished with new cap head bolts etc. Anyway here it is... this fits all NA Mk1a and b models. I am also designing a front brace shortly for sunroof models. Note, this only fits standard 4a-ge engined cars. So no good for us v6 lot, you spoil us with tantalizing goodies then rob us of the sweeties, your a naughty man mr woods. Have you put any thought about one for us v6 lads and lasses ? Or would it be to difficult ? 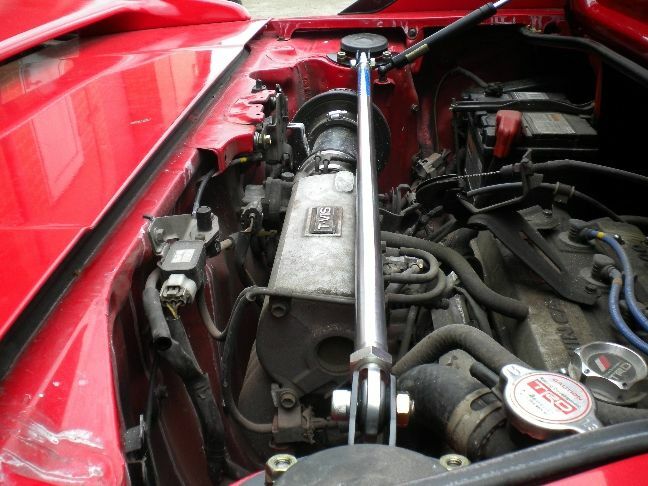 Just a thought could you do a raised version on the uprite brackets, instead of straight across more / then - \ if you see what I'm on about to clear the plenum cover on the 2gr and other v6, I understand not every body had a ws engine lid, but I bet you could custom build one strut brace for us mmmmm. I personaly would be willing to pay more if you could mate. Last edited by snowtigger; 11-06-2011 at 14:50. Tiggs i can do you a brace as a one off mate, no problem, but i am going to need some dimensions from you. 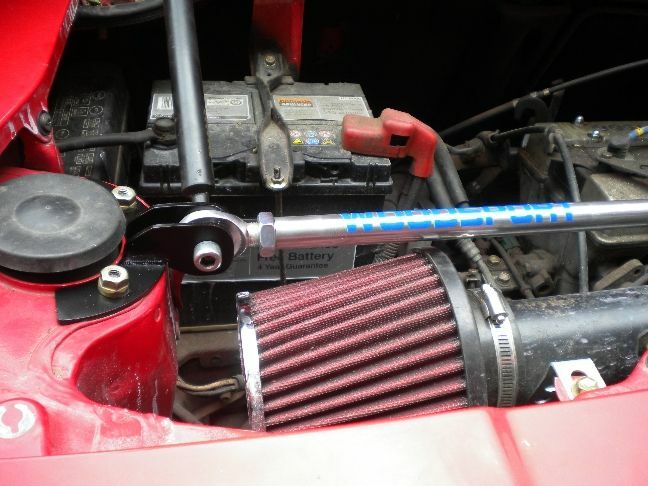 The red line is the top of the strut tower where the mounting plate will sit, the blue line is the highest point on your plenum where the bottom of the bar will be plus 15mm. If you put a spirit level across the top of your plenum extended out to the strut top, then get that level, and measure down to the mounting surface between the two bolts then add 15mm to that measurement i will see what i can do. Will look at it in the morning when I get my level out the van mate. Damn very tempting. 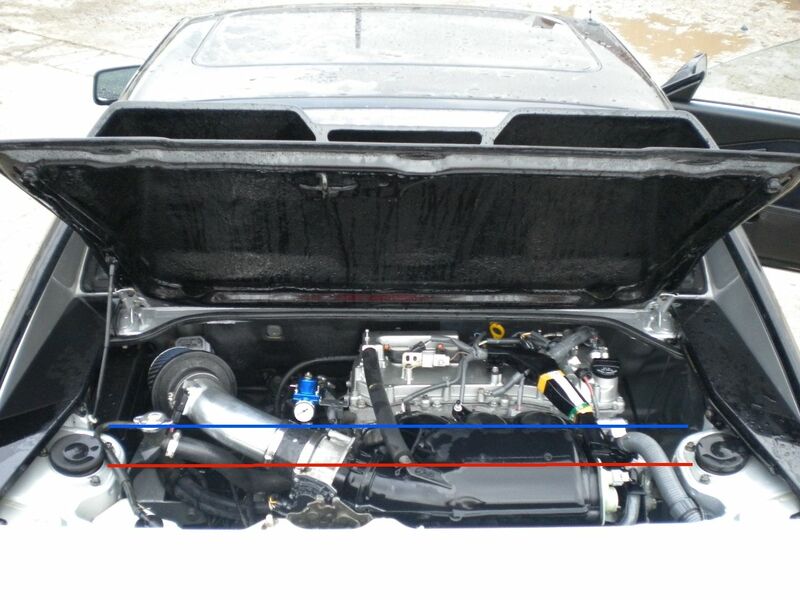 I wonder if my V6 is mounted low enough for the engine lid to shut. Hi Paul, Interested in this rear brace for my 2zz engined Mk1, maybe you could check if it fits Ian's car when you convert his? Also interested in the front (sunroof) brace when its developed too. Obviously Toyota fitted a std front brace to T-Bars but never a standard rear brace. Can anyone who has a rear brace on a Mk1 feel the difference? On the road I can't tell any difference. 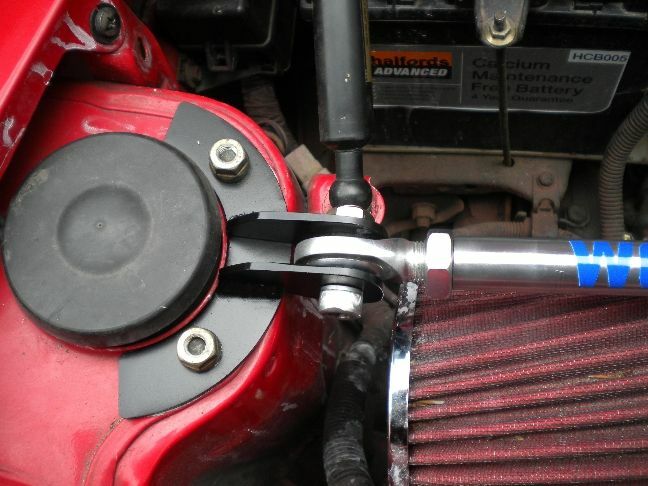 Hi Mark, i've had another look at your engine by and it looks liek this brace will easily fit a 2zz Mk1, there is a large gap right where the brace runs. As for it making a difference, well i don't know if it is one you can actually feel, i drove my car home from the garage yesterday with it fitted and i could have sworn the rear felt tighter, but could be a placebo effect, but it's definately bracing the strut tops. 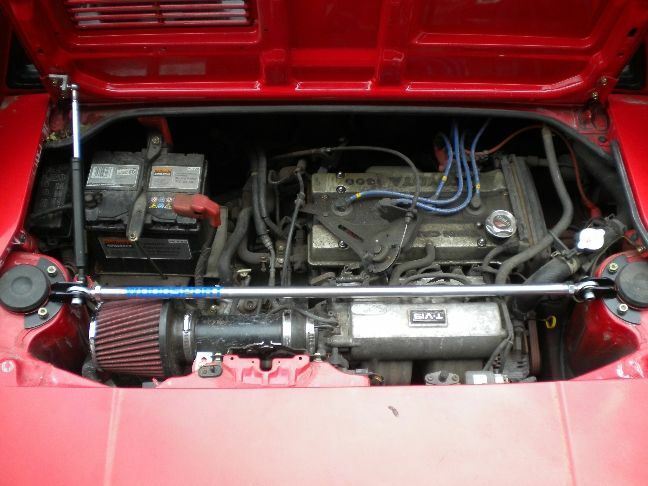 Are you fitting the mk2 turbo rear arb Paul to the mk1? 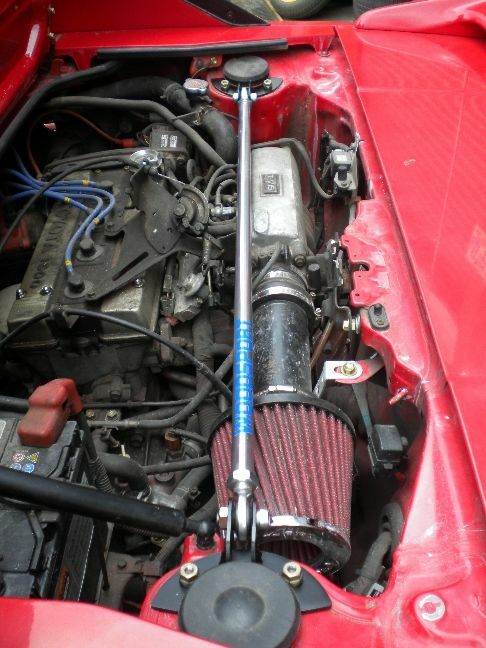 As my car feels glued to the road so with the optional strut brace should feel well sorted. Not with the standard 4a-ge Tiggs, no need. If i ever V6 it then yes i will upgrade the ARB.